Unfortunately this process is far from flawless, resulting in many false and inaccurate takedown requests. For regular Internet users YouTube’s Content-ID is particularly problematic. We highlighted this issue a few years ago but in recent months opposition has been swelling. Google recognizes the problems and recently offered to pay the legal bills of several people who argued that their removed videos are protected by ‘fair use’ legislation. However, this has had little impact on the Content-ID system which still flags a lot of legal content. As pointed out by Techdirt, the course is still available on the CopyrightX project website. A more detailed look shows that it does indeed include some music clips, all covers of Jimi Hendrix’s Little Wing. None of the tracks, which include covers by Joe Cocker, Santana and Stevie Ray Vaughan, are played in full. Instead, Fisher highlights small segments ranging from 15 to roughly 40 seconds. 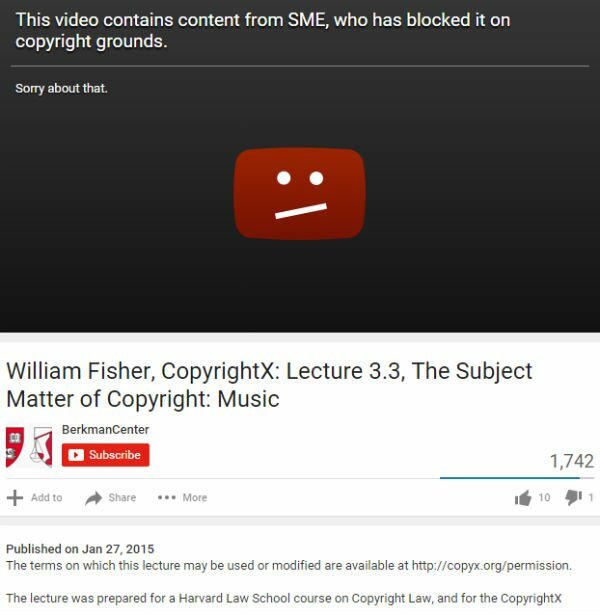 Given the educational nature of the clip, this would be an excellent example of fair use. However, the video in question was flagged and subsequently removed from public view by YouTube’s system. The ‘takedown’ is likely to be an automated one, but that doesn’t make it less of an issue. There appears to be very little oversight of YouTube takedowns, if any, and with more copyright holders joining the Content-ID program the problems may get worse. Perhaps Professor Fisher could make a case out of this. His colleague Lawrence Lessig did the same a few years ago, with success, and apparently Google is interested in picking up the legal fees. 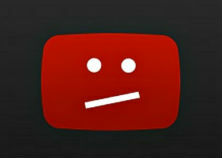 Ultimately, however, YouTube should consider giving its publishers more tools to counter inaccurate requests. As long as a cat purring is still flagged as copyright infringement, there’s plenty of room for improvement. Update: The video in question is now accessible again. It was unavailable for more than a day, but apparently the mistake was corrected after it was pointed out in public.